Did anybody else realize that Sega had changed the name of the Sonic the Hedgehog big bad from Dr. Robotnik to Dr. Eggman? 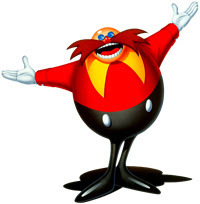 Apparently he was always called Eggman in Japan, and the American games have been gradually dropping Robotnik in favor of the "correct," Japanese name. I feel protetcive of "Robotnik," somehow.